Israeli Archaeologists have uncovered an ancient Second Temple-period settlement linked to Abraham. The find, in the city of Beersheva, revealed a rare lamp chard with a nine-branch menorah, one of the earliest ever discovered. Other artifacts include limestone vessels used for purity rituals, bronze coins, a watchtower, and underground tunnels used by Jewish rebels. The site was uncovered while construction was underway for a new neighborhood in the southern border of what was the Kingdom of Judah. Archaeologists are particularly interested in the remnants of the oil lamp. “This is probably one of the earliest artistic depictions of a nine-branched menorah yet discovered,” excavators Dr. Peter Fabian of the Ben-Gurion University in the Negev and Dr. Daniel Varga of the Israel Antiquities Authority, said. According to Israel Today, the archaeologists noted that of the few lamps found featuring a menorah none are seven-branched, likely in keeping with a Babylonian Talmud ruling that only the menorah in the Temple could have seven branches. Lamps for domestic use have between eight to eleven branches. “Remains of the settlement cover an area of c. 2 dunams (2500 sq. yards) and include several structures and installations, such as the foundations of a large watchtower, baking facilities, ancient trash pits and an underground system that was probably used as a Jewish ritual bath (mikveh). Signs of a conflagration discovered in some of the structures evince a crisis that the settlement experienced, probably that of the First Jewish Revolt.” That revolt took place in 70 A.D., the same year Jerusalem’s Second Temple was destroyed. 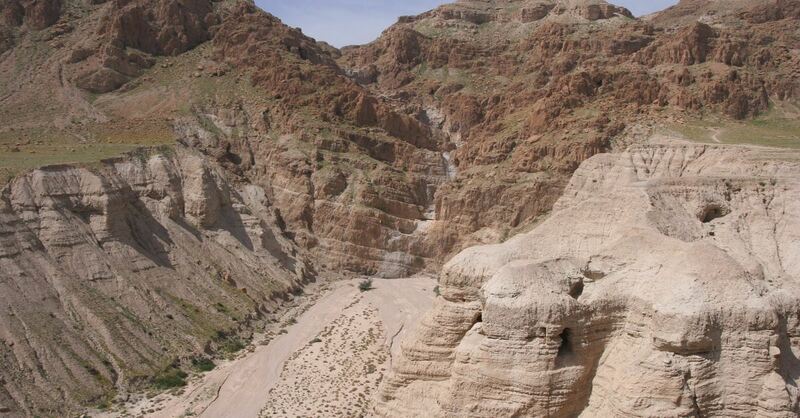 In its coverage of the discovery, CBN News noted that Beersheva is mentioned in the Bible several times in connection with the Hebrew patriarch Abraham and his son, Isaac. In Genesis 21, Abraham and Abimelech founded the city after the two settled their differences over a well of water, forming a covenant together. The name Beersheva means "Well of Seven" or "Well of the Oath." Isaac later built an altar in Beersheba after the Lord appeared to him there. The Bible also records that Elijah took refuge in the city after his execution was order by Jezebel.